Windward Homes for Sale. Windward Homes- Alpharetta GA.
Windward Homes for Sale in Alpharetta GA. Find homes for sale in the Windward subdivision in Alpharetta GA. Search MLS listings for Lake Windward homes online, luxury homes, golf homes, lake homes, and fine real estate properties. Play golf in Windward's private golf course at the Golf Club Of Georgia. Windward is s sought after community and subdivision that is located in North Fulton County in Alpharetta GA. The GA 400 offers easy access to the city of Atlanta in a straight shot. The Windward community has it all, from fine dining, to the private award winning Golf at the Golf Club of GA to fine lake homes on Lake Windward. We are also bless to have some of the regions best schools. There are many homes for sale in this large community, and there is something for everyone. Whether you are looking for a golf course home, a lake home, or a luxury homes in a Gated community. What ever you want, Windward has. 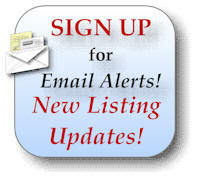 If you are interested in buying or selling a home in Windward, feel free to contact us. As Windward real estate agents, Realtors, we can assist you with the sale of your home, buying a home in Windward or relocation to or from the Windward area.